We are sprinting down the finish line in the garage makeover! The last time I updated you, we had a major project in mudding and painting the garage walls. Now, we are moving on to updating the garage floors! The garage makeover is in full swing and the walls are done! 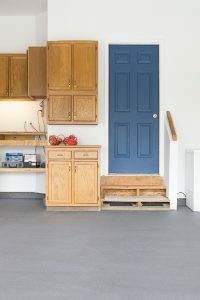 While it certainly isn’t the most glamorous topic, the prepwork for painting or any DIY project is often the most important step. 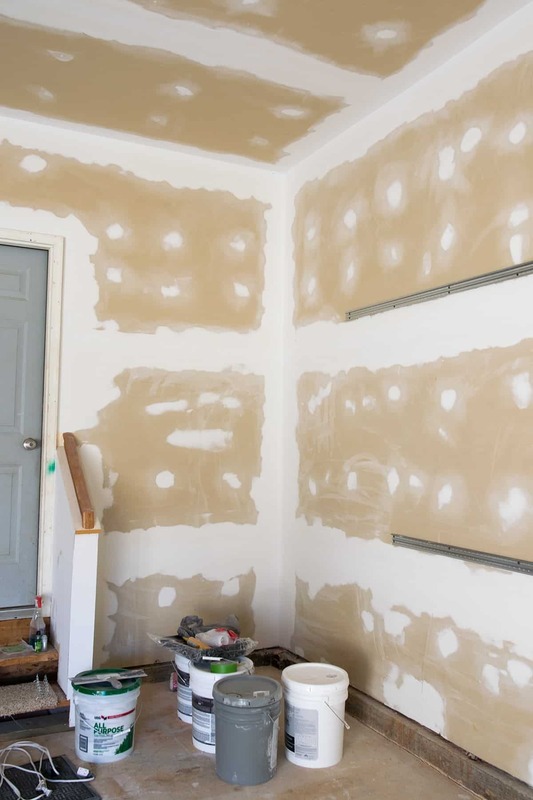 Today I am sharing some tips for using spackle or joint compound on drywall. 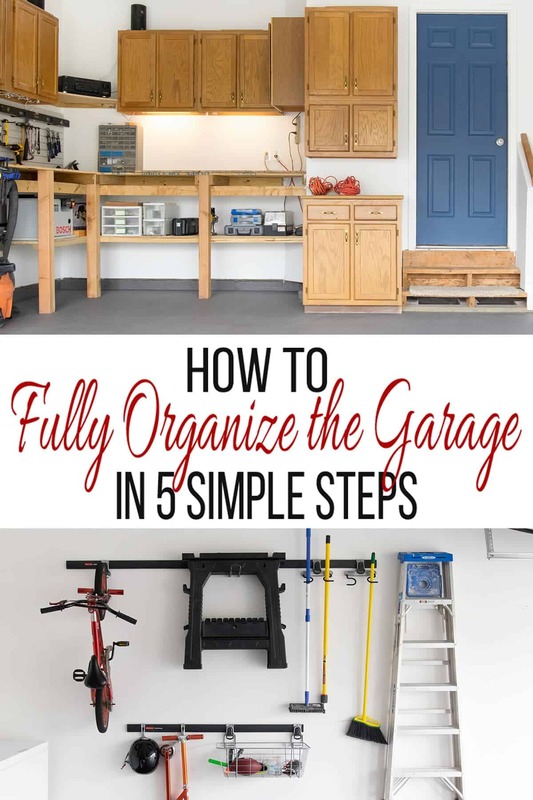 DIY may be the beating heart of this home, but the cold garage certainly doesn’t give me the lovey vibes.Today is just a quick post since we are getting down to business. 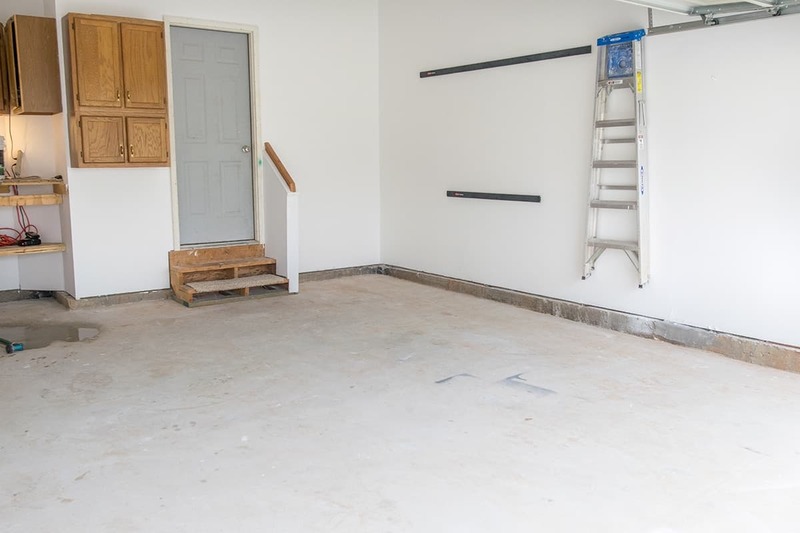 In part, I am worried that I would loose everyone when I say that I am decorating the garage, but also because we have a ridiculous amount of work ahead to get this finished. For Father’s Day, we finally gave the big guy the garage he always wanted. It’s fully organized, functional, and clean. And you can have that too!